Hi! 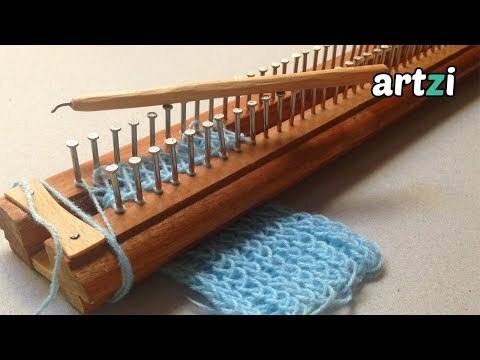 Today I have a video showing you how I made this knitting loom. I have little experience in knitting and this is perfect for me to practice easy projects like scarfs and little blankets. I also made a needle for knitting on the loom. I used wood from an old window frame and popsicle sticks, but you can use any wood you have on hands or want to buy. Each side has around 35 nails, and this is also something you can change and customize to your needs. I hope you enjoyed! Thanks for watching!